You’ve probably heard the phrase “playing possum” at least once in your life. This phrase originates from the weirdly-cute looking little marsupials who pretend to be dead as a natural defense. Opossums are the only marsupial native to North America. They are known scavengers and you’ve probably seen them more than once near a dead animal carcass. However, Opossums are omnivores and will eat many fruits and grains as well. They can hunt smaller animals, but are threatened easily by animals larger than them. Opossums do not usually build their own homes, they just take over abandoned nests from other animals. They typically live in a wooded area, where they have plenty of access to food and water. Opossums have adapted, however, to the growing world around them. They are able to thrive in urban areas as well as their normal wooded homelands. In fact, our garbage is a perfect attractant to opossums as we throw away a ton of meats and other food that they are drawn to. 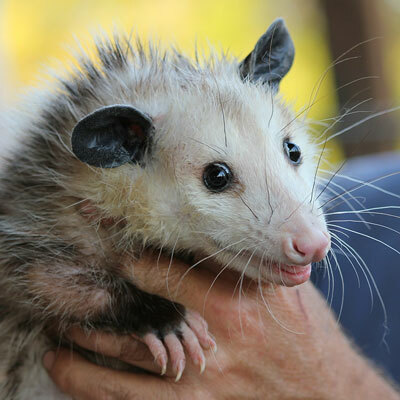 You may at some point also see an opossum draw his mouth back and show the sharp teeth that they have, while this is a defense tactic, opossums are still not aggressive and this is more to frighten you than anything. While it is commonly thought that opossums can hang upside down from branches with their tails, this is necessarily true. Opossums can typically grow to be about the size of a domestic house cat, and their tails cannot support their full weight. The tail of an opossum can wrap around things, and they do have opposable thumbs on their rear legs making them expert climbers. While opossums have adapted to living in an urban society, it is common to see them killed by motor vehicles. In fact, cars are one of the most common killers for opossums now. So, you’ve established that you definitely one hundred percent have an opossum in your attic? You’re probably ready to have them out yesterday, right? You’re ready to start setting traps and getting this thing, or things, out of your home for good. There’s still one more thing you have to do before you can really get going on all of that. 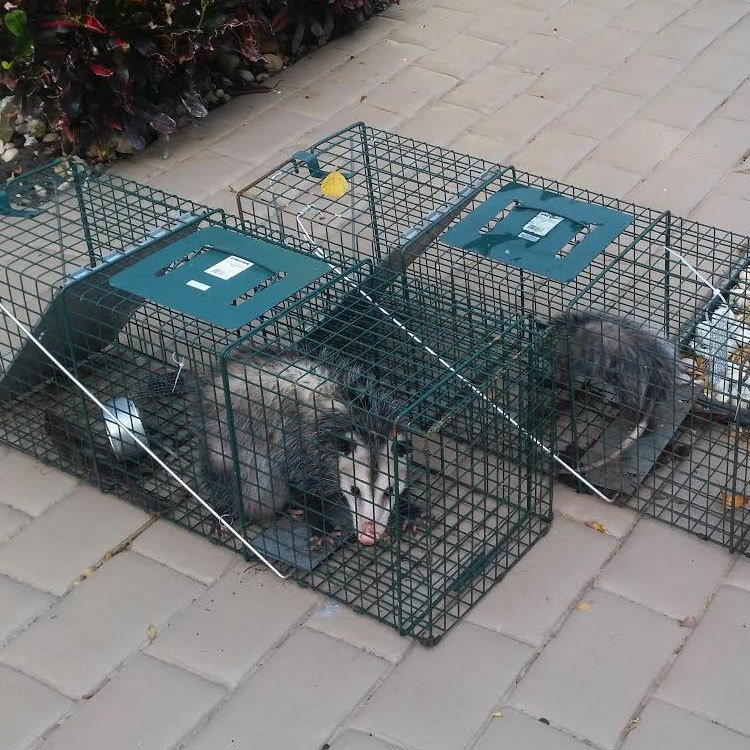 You need to identify exactly what kind of problem you’re dealing with, if you have a single opossum or if you have a family. If there are babies, you are going to have to be more delicate with the situation as they are basically defenseless and you don’t want them passing away in your attic if you remove the mama without them. Often, your best bet is to catch mama opossum and then hand remove the babies and release them all together. Once you have removed all opossums from your attic space, you’ll want to seal up your home so that this issue doesn’t occur again. All animals leave a little scent trail behind them, meaning that other opossums or even bigger animals can follow the smell straight to your house, and if your house isn’t sealed up they could wind up in your attic again. 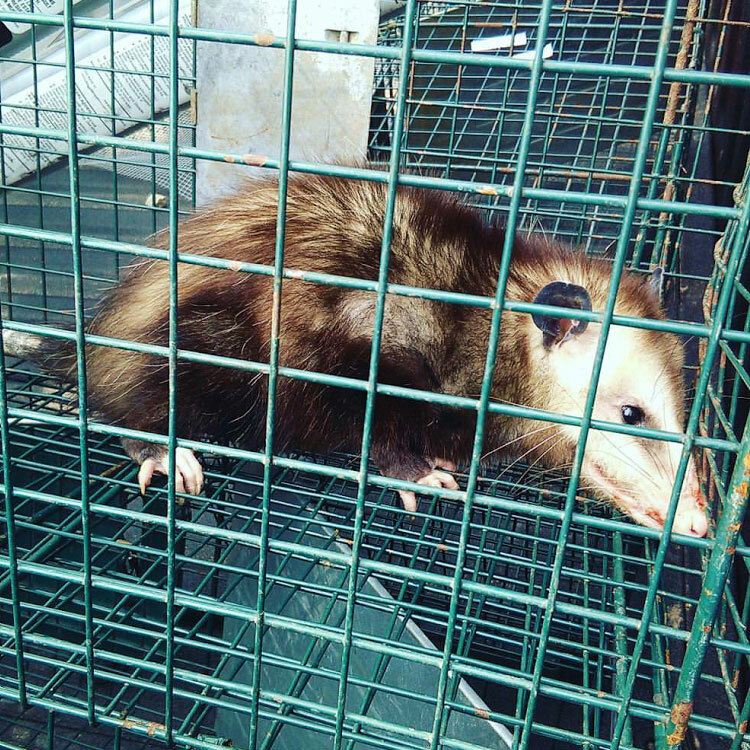 This process is called an exclusion, and can typically be started while the opossum is still in your attic. You can seal any holes that aren’t their main entry. This means that you have to walk around your house and get up on your roof, probably several times over, and identify any potential access points as well. Even if they are super tiny holes, you want to seal them, as other animals can gain access through these. Once the opossum is out of your attic and relocated, you can seal up the main access points that they had been using. After the opossum is gone and your house is sealed, there is still one more step before you finally get to relax. The cleanup process, in my opinion the nastiest part of the whole thing. You’ll need to invest in some gloves and a face mask or respirator for this so that you don’t run the risk of coming contact with any infectious diseases. Make sure to gather all of the opossum droppings (probably with a paper towel, just for added separation between you and the droppings) and dispose of them immediately. You’ll then want to go over the entire area with a disinfectant.